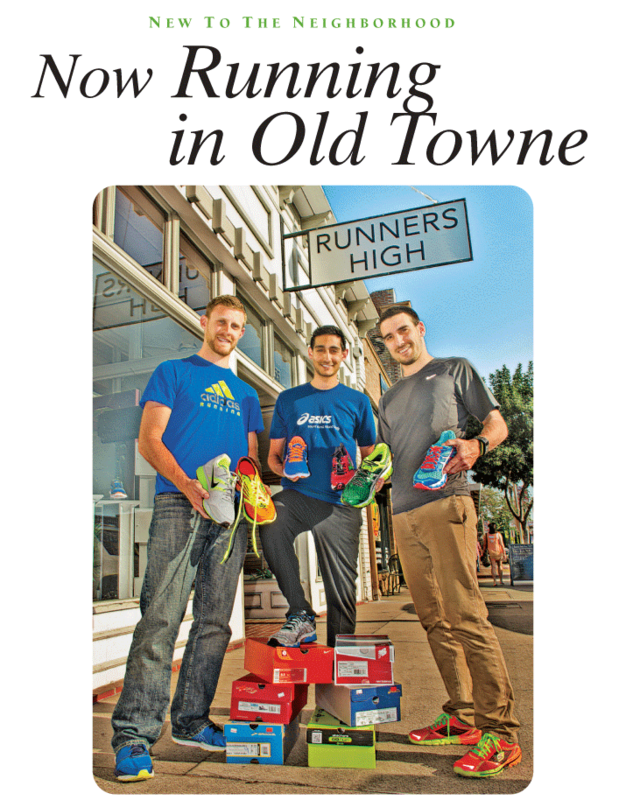 Owner Josh Dutt (center) puts his best foot forward at his newly opened Runners High on North Glassell in Old Towne. He is pictured here with his sales associates Brian Tromburg (left) and Jake Ainsworth (right). Runners take your mark, get set and GO . . . directly to the newly opened Runners High in Old Towne Orange!. Located at the site of the former Running Lab at 155 North Glassell, Runners High is the third store for Josh Dutt, an avid runner, whose passion for the sport inspires him to assist customers in finding the perfect footwear and attire for their individual needs. Whether it’s running shoes by famous brands like Brooks, New Balance, and Asics or specialty items like water belts, arm bands, orthopedic inserts, caps and socks, Runners High features a comprehensive inventory of gear for runners, walkers and joggers of all levels and age groups. According to Josh, Runners High puts the focus squarely on the health and wellbeing of its customers. A longtime fixture in Long Beach, the first Runners High store opened near the Cal State Long Beach campus nearly 20 years ago, followed by a second store in Belmont Shore a few years later. Josh was a former store clerk at the Long Beach location beginning in 2007 before purchasing the business in 2011. When the space in Old Towne became available, he decided to go “all in” and open a third store. Since the grand opening in March, Josh has organized a free running group that meets Tuesdays and Thursdays at 7 p.m. for a casual 5k run through the neighborhood. Anyone is welcome to join, including walkers, he says.